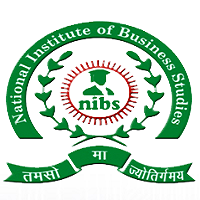 Organization National Institute of Business Studies (NIBS) – Leading distance learning and engineering courses institute – New Delhi, India. NIBS is a leading educational institute offering varied distance learning and part time engineering and management courses. Computer Engineering Course: Do you want to make your career in Computer Engineering? If yes, then NIBS is your ideal institute offering various distance learning and part time programs including Diploma in Computer Application Engineering, Bachelors and Masters in Computer Application Engineering, etc. Electronics and Communication Engineering Course: Materialize your Engineering career dream with NIBS which offers different Electronics & Communication Engineering programs including Diploma course in Electronics & Communication Engineering, and Bachelors and Masters in the same subject. Electrical Engineering Course: Do you want to do Electrical Engineering and that to through distance learning? Visit NIBS which offers different part time and distance learning Electrical Engineering Programs! You can pursue Bachelors, Masters and Diploma course in Electrical Engineering at National Institute of Business Studies (NIBS). Mechanical Engineering Course: Is Mechanical Engineering your choice of the field? Get the admission into NIBS if you want to pursue Mechanical Engineering course through distance mode or part time basis. The NIBS offers degree and diploma programs in Mechanical Engineering stream. Civil Engineering Course: Are you looking for an institute which offers Civil Engineering course and that too through distance mode? The NIBS is the right place to give wings to your career dreams. 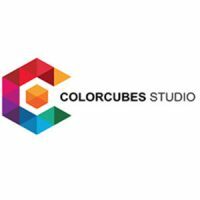 The NIBS offers degree and diploma courses of part time basis and distance mode.